Will the new 'Ocean's 8' movie live up to the originals? Posted March 6, 2017 by David Somerset & filed under Headlines. As many of you already know, the Ocean’s Trilogy is a series of 3 comedy heist films, released from 2001 to 2007, directed by Steven Soderberg. This is one of the most successful casino movie franchises of all times. In the first of the trilogy, Ocean’s Eleven, Danny Ocean and his eleven accomplices plan to rob three Las Vegas casinos simultaneously. After pulling off one of the biggest heists ever, Oceans Twelve continues the story with another job to complete, this time it’s three major European heists. And with Ocean’s Thirteen comes the third heist, but this time the focus is on revenge. In summer of 2018, the tides will turn as Debbie Ocean (no longer Danny Ocean) attempts to pull off the heist of the century at New York City’s annual Met Gala. While Brad Pitt and George Clooney in Ocean’s Eleven may be regarded as the coolest cast of all-time, the female-led remake is set to take centre stage. With famous names such as Sandra Bullock, Cate Blanchett, Elizabeth Banks, Helen Carter and Mindy Kaling, this posse of strong female leads is already creating a whirlwind of excitement around the film set to be released in 2018. This remake of the famous Ocean’s movies is already shaping up to be very different from the other Ocean’s movies. While we almost certainly know that the film will see the girl gang undergo a heist at the Met Gala, the majority of the plot has been kept under wraps, leaving us to wonder what they have in store for us this time around. 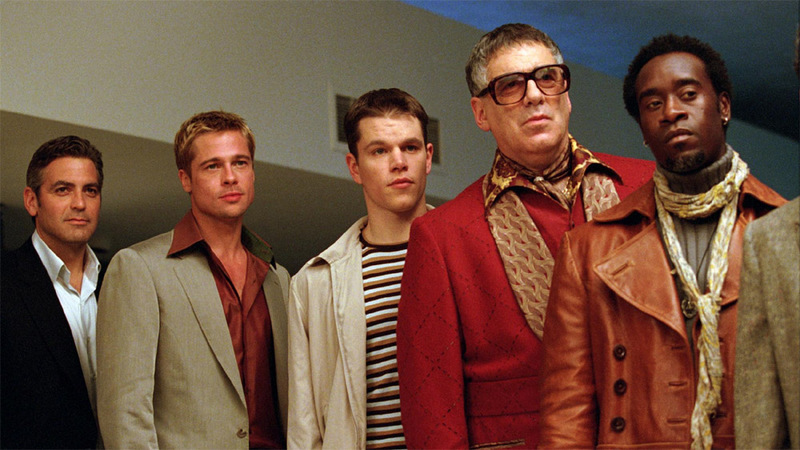 When the first Ocean’s Eleven film came out in 2001, most gambling was still taking place in traditional casinos, as depicted by the group of con men that take on Vegas in the film. Fast forward to 2017 and the times have changed. The rise of online casino gambling is certainly one of the most important cultural changes involved with casinos. A gambling movie that addressed this fact would certainly be an appropriately modern movie for this day in age. There’s no reason why the new Ocean’s Eight movie couldn’t involve a heist of an online casino games website, where the robbing is done via hacking, and the attacks are orchestrated anonymously. Although the concept isn’t far-fetched, it seems that we’re going to have to wait to see a movie depicting a heist in an online casino. Although never say never, because 2018 is still a way off and the plot of Ocean’s Eight still has time to surprise us.